After a successful iPad trial at school last year, the teachers all agreed it was working really well. So this year we asked our year 5 and 6 students to bring an iPad to school and I’ve been working with the teachers and students in those classes to help ensure we get the most from this arrangement. I think it’s been working really well; the kids have been incredibly responsible and have been producing some really interesting work with them. I had an email from a Year 5 parent a few weeks ago asking some questions about the iPad program, in particular about required apps, the rules and expectations for their use, the use of games (including one called Goldrush that she was concerned about), impacts on socialisation, responsibilities for backing up data, etc. In particular, this parent had a few concerns about using the iPad for playing games versus using it a a learning tool. I wrote a fairly long and detailed email in reply, and I’m republishing it here (anonymised of course) because I thought the general gist of my reply might be of some value to others. Your thoughts are welcomed in the comments. One of the key aspects of the students using iPads as BYO devices is that it provides (by design) an environment and opportunities for them to become managers of their own technological world. 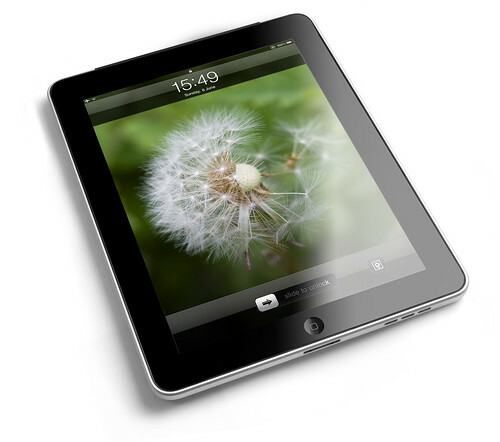 It also means that parents have a significant say in what they want to allow or not allow on their child’s iPads. Most of what we covered at the parent information night back in Term 1, prior to the students being allowed to bring in their iPads, was focused on reinforcing this idea that in a BYOD environment the final say on what is appropriate is up to individual parents. As I tell the kids all the time, “I don’t live in your house, so I don’t make the rules for what you do there. Your parents do”. We initially asked the students to have only a fairly small set of designated core productivity apps installed on their iPads – a web browser, word processor, presentation tool, PDF/eBook reader, video and audio editing tools, etc. We have intentionally not made long lists of “required apps” because the nature of operating a BYOD program is such that students should be allowed to choose the tools (in the form of apps) that work best for them. For example, in a recent task, students had an option to produce a set of presentation slides (what in a non-iPad world you’d just refer to as a “PowerPoint”) The task was structured in such a way that students could respond to this task using a variety of presentation-style apps, including Keynote, MoveNote, PopBoardz, Haiku Deck, SlideIdea, Flowboard, and others. Part of the learning we want to occur is that students are given opportunities to make good decisions about which technology tools they wish to use, and allow them to identify, find and manage those apps. In finding new apps they also develop the very important skill of learning how to use a piece of software that they have never seen before. What this amounts to is a way of helping students “learn how to learn”, which is possibly the most important skill they can take away from the whole experience of school. Regarding games, it’s sometimes not easy to know what exactly constitutes a “game”. For example, Scratch, Minecraft, even Mathletics, could all be considered to be “game-like” but are incredibly valuable learning environments that we actively promote and support. For example, a game like The Room requires a high level of problem solving and lateral thinking skills. Games like Threes! or 2048 involves the use of logic, problem solving and maths. Musyc is a music composition tool that looks very much like a game. There is an app called DragonBox in which the rules are based on the principles of algebra, essentially teaching students to understand algebra through playing the game. I haven’t played Goldrush myself, but I just had a quick look at it in the App Store and it looks like it has quite a few valuable learning aspects to it, including engineering concepts and bridge construction skills (something the students will do much more of in Year 6 next year) and it looks like it needs a lot of thinking, problem solving and logic to play well. While it’s probably true that some games don’t offer enough learning for the amount of time put into them, I would be vary wary of having a simplistic “games = bad” approach, or to think that games (or game-like environments) cannot help students learn valuable skills. Much of the research around gaming suggests quite the opposite, and that the engagement factor present in most games, as well as the logic and problem solving skills usually required, are in fact exactly the kinds of things we need to be developing in our students. To be clear, I am NOT saying that students should spend all their time playing games. However, the evidence suggests that there is much to be gained by allowing students to spend SOME time with games, particularly games that support worthwhile learning objectives. I think we could have a whole other discussion about what exactly we mean by the term “game”, what a “game” looks like, and what might constitute using the iPad as “a learning tool”. I suspect the distinction may not be as clear cut as it might first appear. And because every family will have different perspectives on this distinction, this needs to be a conversation that takes place between parents and their child. If you’re unsure about an app, be it a game or anything else, by all means sit down with your child and talk with them about it, ask what they likes about it, what they learns from it, and get them to show you how they use it. As I pointed out at the parent evening, the ultimate decision about iPad use, about what apps are appropriate, about where and how the iPad gets used at home, rests with parents. I repeatedly said to all parents “It’s your house, your child, your iPad, your rules”. As far as use at school goes, the iPads have been very successful so far in extending learning opportunities. Certainly, in the work I’ve been doing with the students they have shown some amazing learning with these tools. A large part of that has come about because we have not mandated specific apps or uses of the devices, and instead are allowing each student to use the devices in ways that best support their own learning, using apps that work best for them. I recently had one of the iPad classes do an “App Slam” where they each had 2 minutes to stand up in front of the class and present an app, a tool, a website, etc, that they found useful or fun. It was amazing to see not only the confidence and fluency with which they used this technology, but also the ease with which they shared it with the class. And interestingly, out of the 16+ apps on show, I’d only heard of two of them before. The point is that with the hundreds of thousands of apps in the Apps Store, the students are taking the lead here and discovering useful tools that we teachers may not. Some of the innovation, independence and creativity we have seen so far has been astounding, and has taken the learning into places that simply could not be achieved without these tools. The goal with using technology in education is not simply to use technology to reproduce things we COULD already do without it, but to find entirely new ways to do things that we COULD NOT do with out it. So while using the iPads to take notes, read books and look things up online are all worthwhile and valid uses, the really powerful learning will come from getting the students to interact with data, ideas and skills that could not be previously done without them. And even after just a term and a half of having the devices we are starting to see many instances of this happening. The teachers of year 5 and 6 are very aware of the students using their iPads in appropriate and socially responsible ways. Their use is managed in class and any student who gets off-task is very quickly brought back to the task at hand. I am told that the students do get some free time with the iPads, but only on Thursdays, only at lunchtimes and only in the library, so that seems like a fair deal to me. Regarding data monitoring, when the students are at school they are connected to our school wifi so they are subject to all the usual filters and blocks that apply to Internet access on our network. However, we don’t (and really don’t want to) restrict students from downloading new apps, for all of the reasons I’ve outlined above. Regarding backup, we use Google Apps for Education as our core platform here school so any documents that the students store in that service are securely backed up in the Google cloud. If they put their work into Google Drive (as most of them do) it will be safe. Other file types (such as photographs, iWork files, etc, may be managed by Apple’s iCloud service if the student enables it. Aside from that we do recommend that all students back up their iPads to iTunes on a home computer regularly. Because it is a BYO device, the responsibility for doing this lies with the student (and their parents if needed) Again, our students are growing up in a world where the process of managing data is increasingly important and will usually not be done for them. It’s important they start learning to do this now. It’s been said that you know when a 1:1 computing initiative is truly working in a school because you stop talking about it. The conversation stops being about the hardware – the computers, the tablets, the wifi, the network, etc. When all that stuff works the way it is supposed to, it begins to fade from the conversations that take place in the school. We stop talking about the devices and start talking about the learning that takes place with the devices. We stop thinking about the infrastructure required to make the technology work, and we just use it, fully expecting that it “just does”. 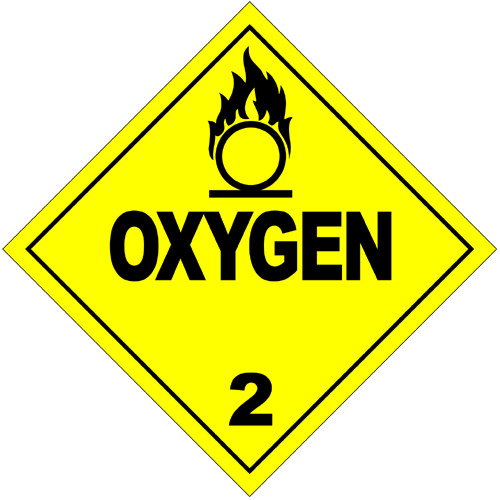 A good 1:1 program should be like oxygen. It becomes so ubiquitous that you start to forget it’s there. Students and teachers begin to blend the use of technology into their daily routine in a way that becomes so seamless that it feels natural. Taking the technology away would be almost like taking oxygen away. You don’t notice it until it’s not there. How do you get to that point? Obviously the important infrastructure needs to just work. Wifi needs to be robust and ubiquitous. Servers need to be fast and responsive. Computers and devices need to be simple to use. Software needs to be intuitive and flexible. All that is important, and need to be the first priority of the IT teams that put those things in place. But once those things are in place, we need to stop talking about them. Learning should be the goal of a 1:1 program. Not devices or wifi or policies or “the cloud”. That stuff is important, sure, but the primary focus of a school needs to be on learning, not technology. In the excitement of putting technology into schools, it’s amazing how often we overlook that. Rob is a music teacher friend of mine who works in the NSW Southern Highlands, and he dropped me an email this afternoon asking if I knew of any schools who were thinking about using iPads. His school is moving forward with an iPad trial and he was wondering what resources might exist that would help them avoid “reinventing the wheel”. As it turns out, I’ve been seeing a lot of iPad related information lately so I thought I’d post a reply here on the blog rather than just reply to Rob in an email, just in case some of the information is of some use to others. I’ll preface it by saying that I think there are a lot of things in education that could certainly use some reinventing, and maybe this is a good chance to do it. There seem to be a lot of schools looking at how iPads might fit in so it may be a little early to avoid the reinventing and instead take advantage of the opportunity to do some inventing. While there are plenty of lessons about 1:1 learning to be gained from the last 20 years of laptop use in schools (and we should leverage everything we’ve learned from that history) the iPad is a different enough device that it’s causing us many of us to stop and think about how we might do some reinventing of what it means for learners. I remarked to someone recently that it’s interesting that nearly every school implementing iPads is still referring to it as an “iPad trial“. We’re all trying to figure this out. With it’s unique form factor, light weight and slim design, the touch interface and thousands of apps to explore, the iPad seems like such an obvious fit in education, it’s just a matter of fitting where. It’s a classic “solution in search of a problem”. It seems apparent that it ought to be an ideal device for educational use, but nearly everyone is still hedging about with a “trial”, rather than just biting the bullet and going ahead with full scale iPad implementations. This “reinventing” isn’t a bad thing, because it means we’re thinking outside the box, looking for the right niche, trying to figure out how this clearly amazing little device will find the right fit in schools. Sometimes new wheels need to be invented. We run a laptop program at my school and we had a meeting a few days ago to evaluate the progress of it. We all agree that students having their own device has caused some fundamental shifts in the way our kids learn, create and interact with content as well as the way teachers think about designing learning tasks. There’s no doubt that it’s a good – no, a great – thing and has opened doors to a different kind of learning for many of our students. Many students have remarked to me that the couldn’t imagine going back to the non-laptop days. It’s great to hear that, although I still don’t think we’ve really begun to leverage the full advantages of being 1:1. We’re still learning too. But there are downsides to carrying technology around. The added weight of carrying laptops and textbooks (yes I know we should be able to get rid of textbooks altogether, and we will eventually, but change can be painful and we are still in transition on some of this stuff). The fragility of having a computer in your bag and the inevitable damage and breakages can be a problem. Laptop battery life is fine when the machines are new but gets steadily worse over time, which then opens a whole can of worms regarding charging once they can no longer get through a whole day on a single charge. Traditional laptops are fine, but if only they were lighter, thiner, more compact, more durable, with less moving parts and good battery life. Sound familiar? No wonder the iPad strikes so many people as an obvious solution in schools. It’s has so much of what we’re looking for in a device! I love my Gen 1 iPad, but until the release of the iPad 2 I wouldn’t have entertained the original iPad as a serious contender in education. It was the classic debate between it being a “content consumption device” versus being a “content creation device”. I want kids to do far more than just consume content, I want them to create it, and iPad 1 lacked far too much in this area for me to take it seriously. However, with the recent addition of cameras, enough grunt to handle tasks like video editing and multitrack audio recording, display port mirroring and a number of other big improvements, it’s getting to the stage where it could be a contender for a student’s main computing device. Maybe. I’m still hedging a little and saying “could be” a contender, because I think it still depends what you want to do with them. With an iPad as your primary computing device you’d still need to be able to live without Flash (which admittedly is becoming less and less of an issue thanks to HTML 5) and the limitations of mobile Safari and the very ordinary way it renders some pages. Safari doesn’t play nicely with our Moodle LMS because, being Webkit based,the browser don’t show the toolbar buttons in Moodle 1.x. I’m sure 2.0 fixes this, but right now, it’s a problem for us. I also find Safari does some weird things with forms and text fields. Overall, I’d really struggle with it as my main browser. There are some issues with the way some third party iPad apps interact with school firewalls and, unless your school runs a transparent proxy, there are likely to be many apps that simply cant get through to the web. This is likely to be a problem. I also have doubts as to whether the pseudo-multitasking is really good enough to be used as your primary computing device, and there are plenty of time when I feel very unproductive because of it. Sometimes, I just want a “real” computer. There’s also licensing issues to consider as Apple haven’t been very clear about just how apps can be shared and deployed on a school basis, as well as a lack of what you might call enterprise-level imaging tools. There are quite a few nuts and bolts issues like this that need to be thought through if they are to be used on a school-wide basis. Apple’s own view seems to be that iPads are not really an enterprise device, they are a personal device and they aren’t designed to be “managed” in the same way that laptops would be. However, all that aside, there are still enough intriguing things about the iPad, and enough potential advantages, that I totally understand why schools are running “trials” to try and figure out just where the real limitations lie and just how they might be made to fit into a school situation. Hope that helps a little. Let me know how it pans out for your school, and how that wheel gets invented. You might let Kerry Smith know too, and she can add you to that list of schools running trials.